This is what happens when you jump into a Rebound Relationship. 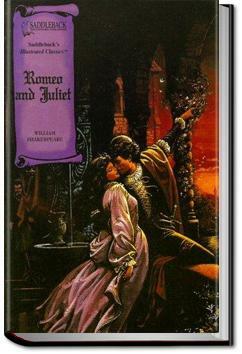 So, when the story opens, Romeo is desperately in love with Rosaline. But since she won't give up the booty has sworn to remain chaste, he's all depressed and heartbroken. ROMEO: I’m Romeo, and I used to be emo and annoying but now I’m so totally in luuuuurve and it’s AWESOME.